Founded in 2007 by the Soldini Roberto family, shoe makers since 1963, in collaboration with stylist Andrea Ventura, the elegant brand and philosophy born of the same name is creating a success story of quality – Made in Italy. Andrea Ventura’s objective is to satisfy the independent customer, the one who loves innovation and originality yet insists on the tradition of quality in the detail. What makes them special is the way they have reinvented the look of the classical shoe, creating unconventional concepts in footwear, inspired by our changing world, nature and fantasy. The “Tasca” or pocket concept-style has been extremely successful ever since its creation in 2008. Materials used for the uppers in the Tasca concept evoke luxury and stimulate soft emotions combined with lasting durability. 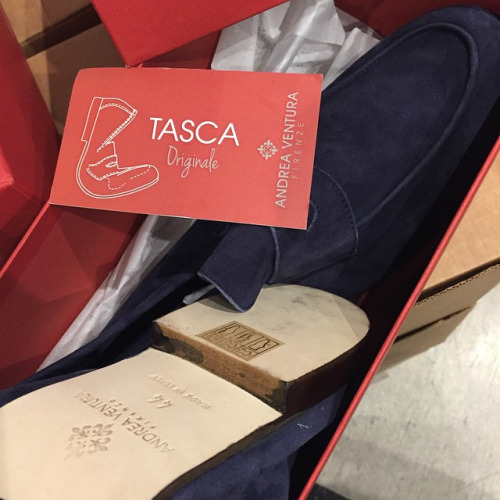 So as to guarantee flexibility even with leather soles, Andrea Ventura Firenze has perfected a special patented construction, first adopted in the concept Tasca but also used in other types of traditionally rigid footwear, the result is…extraordinary. Andrea Ventura shoes are sold in all well-known luxury stores in major cities, such as Florence, Milan, Capri, Cortina d’Ampezzo Montecarlo, Paris, Moscow, Tokyo and London, where Shirts & Ties Venice, are the exclusive UK stockist of Andrea Ventura Firenze shoes.